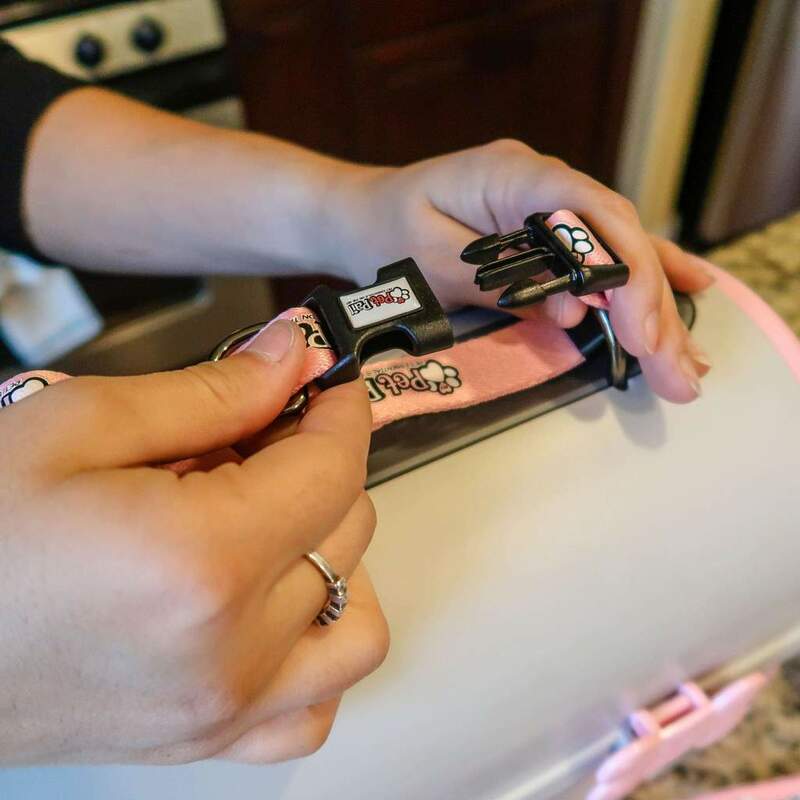 My Pet Pail has been one of the most convenient, life saving things I have bought in a long time! I would recommend to anyone whos travels with their pet often. My dog takes road trips with us (me and my husband), we love to bring her and she loves to come along with us. When we stop for bathroom breaks or food stops we let her out and open up the pail and let her eat right out of the bowls. She has no problems eating out of it. 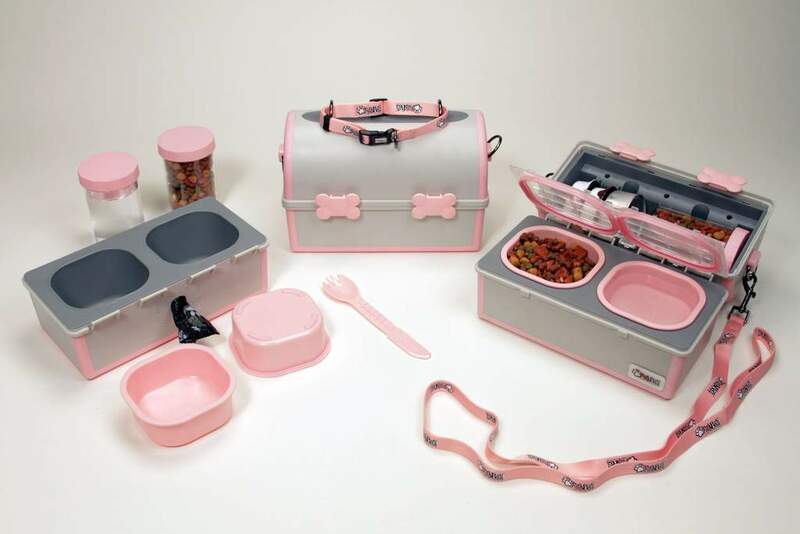 We have the pink and grey one so it’s very cute for our girl. 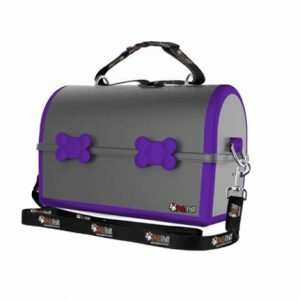 (there is also has doggie bag dispenser which is a huge plus…) HIGHLY recommend. We love this! 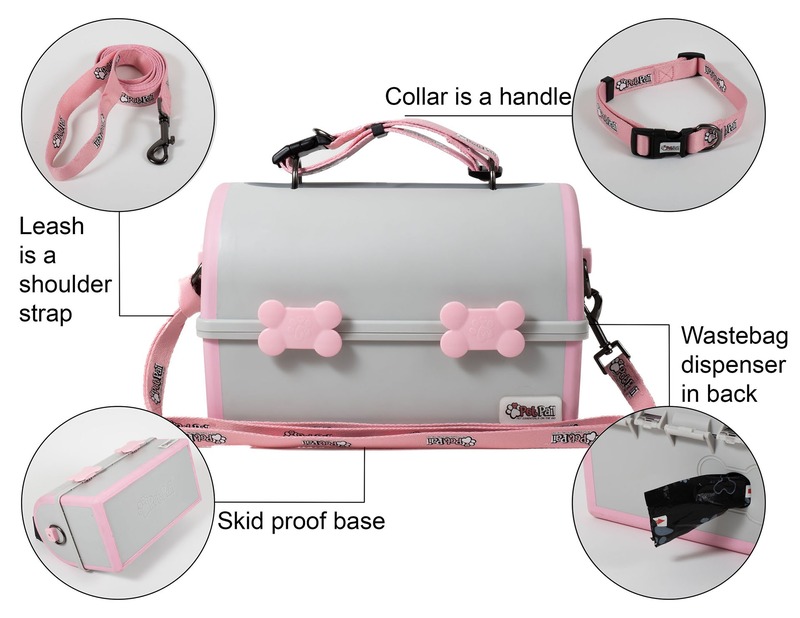 This is a must-have if you go out-and-about with your pup! 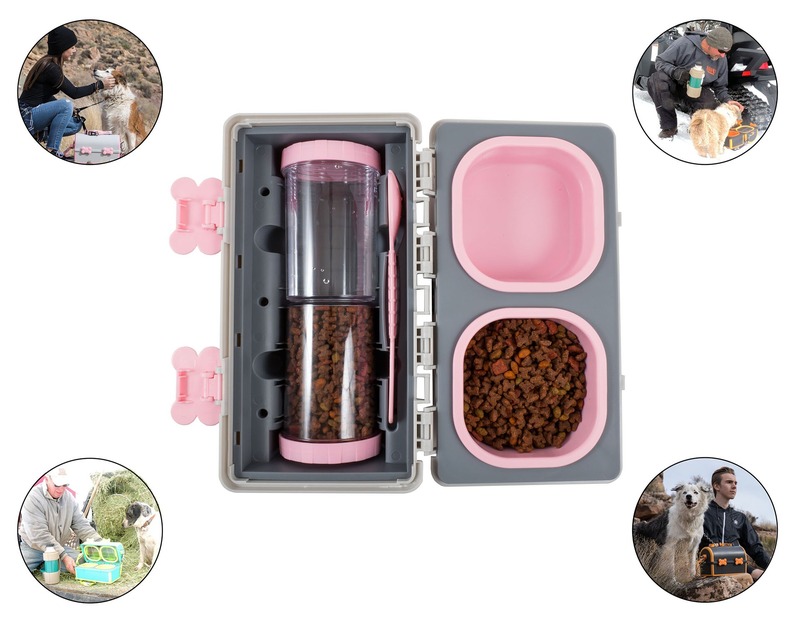 It’s perfect for puppy hydration and feeding during long trips or even just a long walks. We mostly use this at the beach for portable food. 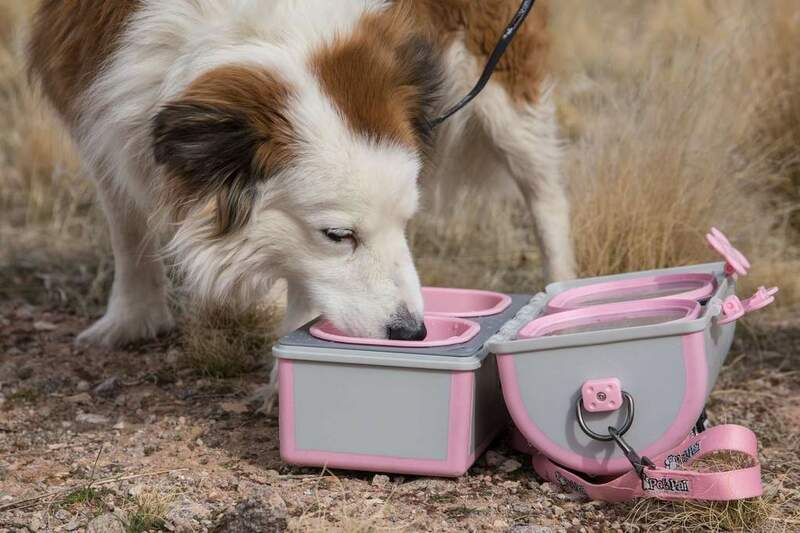 The pail itself is very sturdy and actually sits in the sand nicely, and it’s tall enough so we don’t get sand in the food and water bowls. 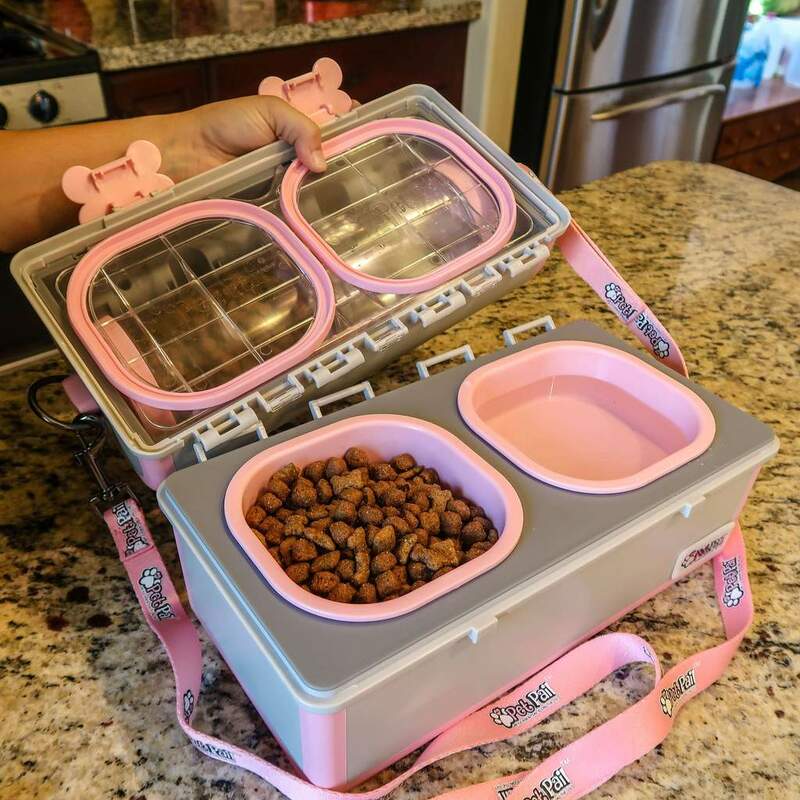 This is perfect for our dog. 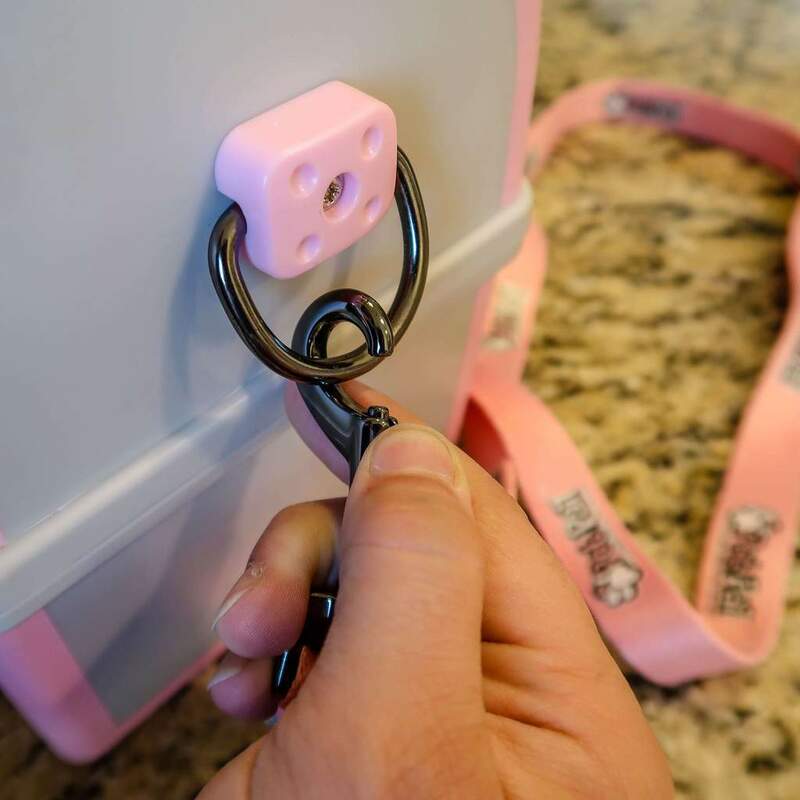 I am using this for my cats even though the fasteners are in the shape of a bone. We got this because we were traveling for the holidays but I started using it as a daily cat dish. My cats love it too. I use this as my pups “day bag” or briefcase. He comes to work with me a few days a week and the pet pail is perfect for keeping all his toys, bowls, food, and any other little things he’ll need for a day away from home. 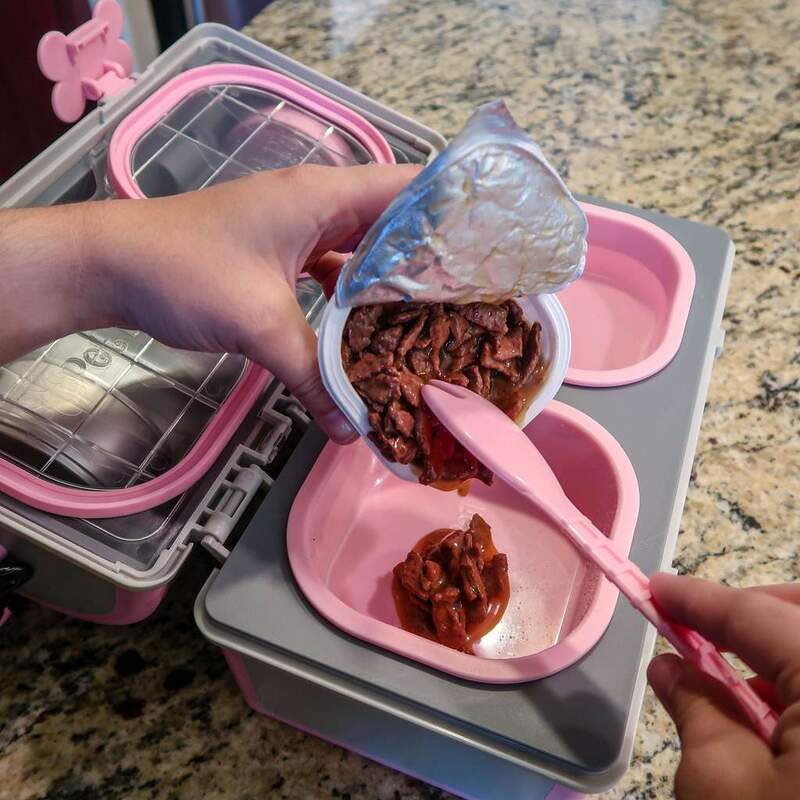 Product is well made, has nice exterior design and a shoulder strap for when your hands are full, and the extra containers are nice too. Quality product, fast shipping. Oh, and try standing on it – that’s how you know it’s well made. Worked great on a 9 day road trip. I have a little Yorkie that feels like he needs to dump his food and water bowls, like every time he eats, no matter what I do. I love my dogs but the messes are no joy and finding food everywhere in strange places drives me bonkers. When I switched to this product he couldn’t get a hold of the bowls to dump them all over. Now that’s one less mess at feeding time (my other dogs are dainty eaters). And the pet pail, with both bowls inside, can’t be moved by my small dogs, so no scooting bowls across the floor. 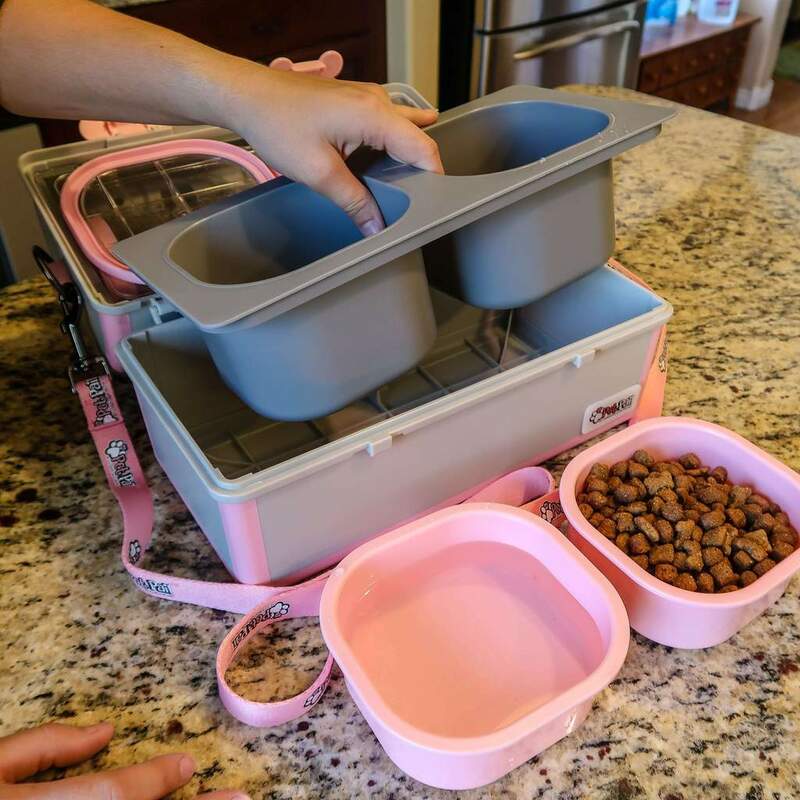 I love this dog dish system!! Shipping was fast and free too. 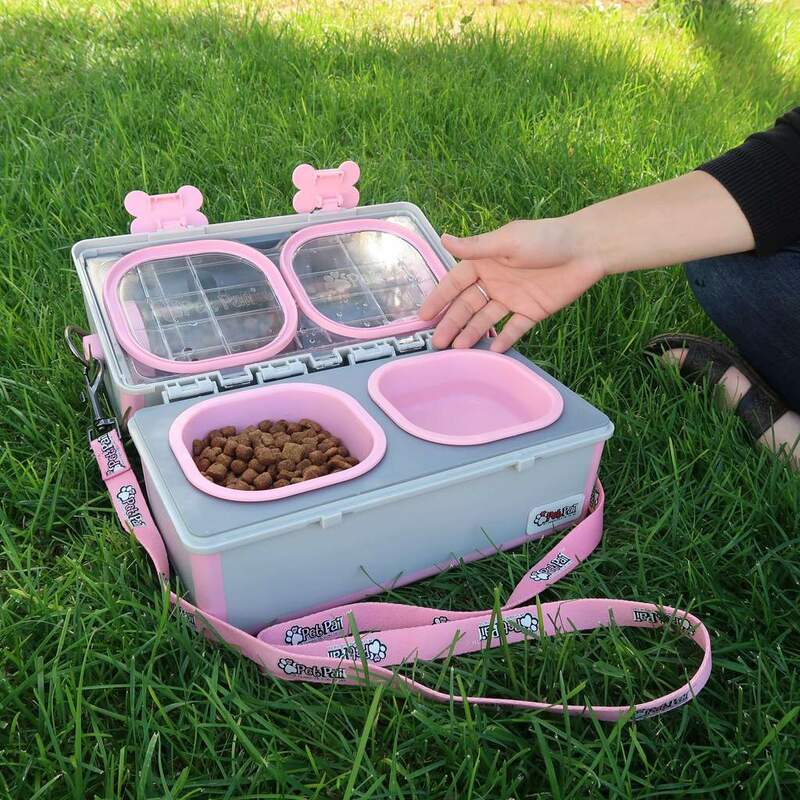 This is the cutest travel dog dish combo. I’m glad I took a chance on it, we use it all the time. The leash it comes with is the perfect size and is reflective. Great quality and price. You know those swiss knives that have everything you need? This is it. The swiss knife of dog products. I love how versatile the pet pails are! I can use it for hiking or on road trips or even at home. How cute is this product?? 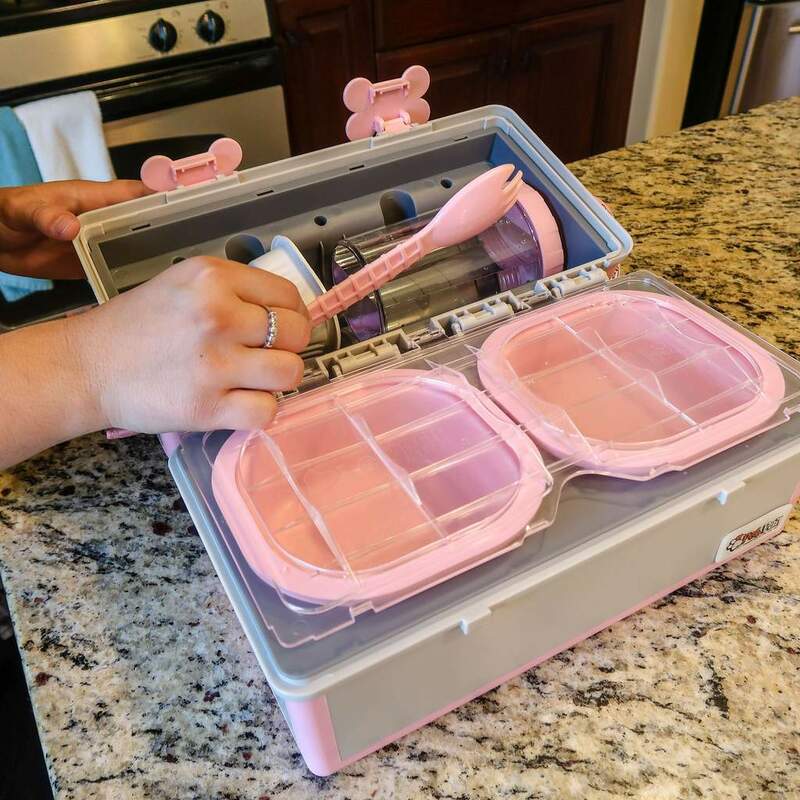 It looks just like one of those old school lunch boxes! My Baby Girl doesn’t spill her water or food around because this container has grippy material on the edges. Genius! On a whim I got this for my cat. To be honest I wasn’t sure it would work but it was so cute I gave it a try. 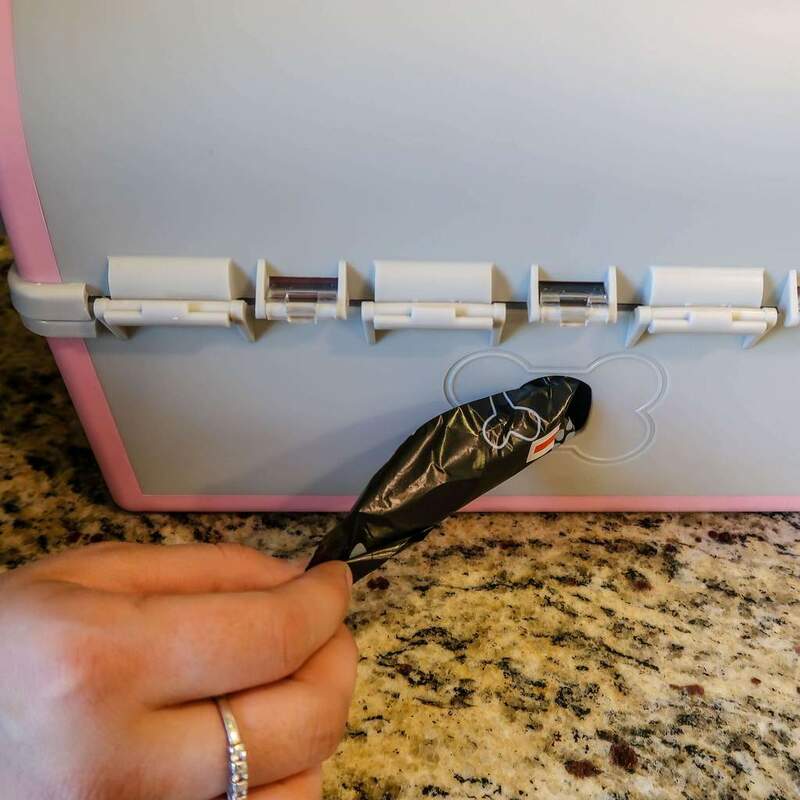 It was better than I hoped because I can fit my cans of friskies right in the top. 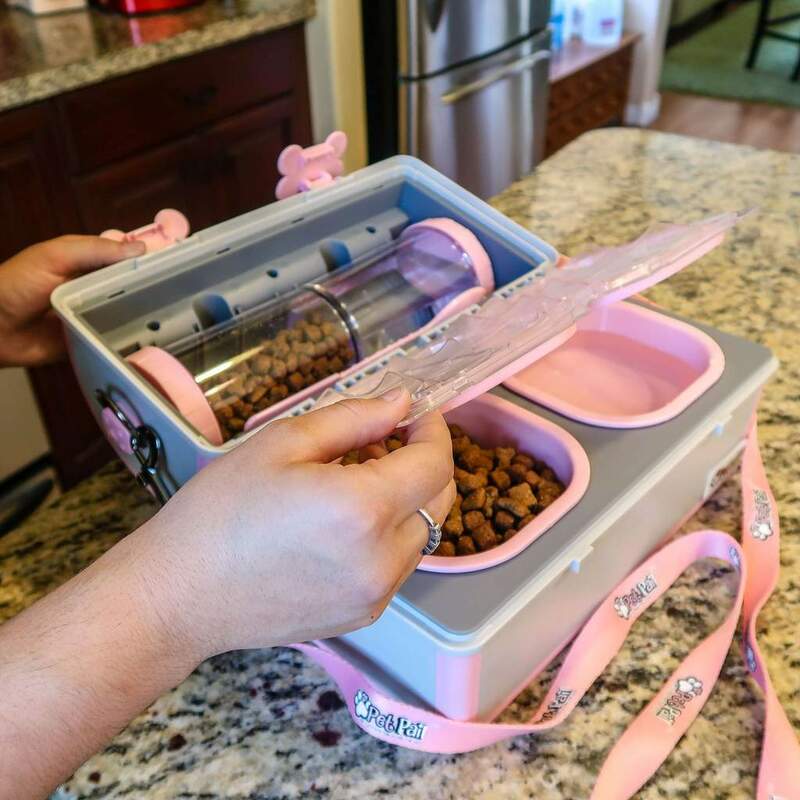 It has a utensil that works great for scooping out the cat food too. 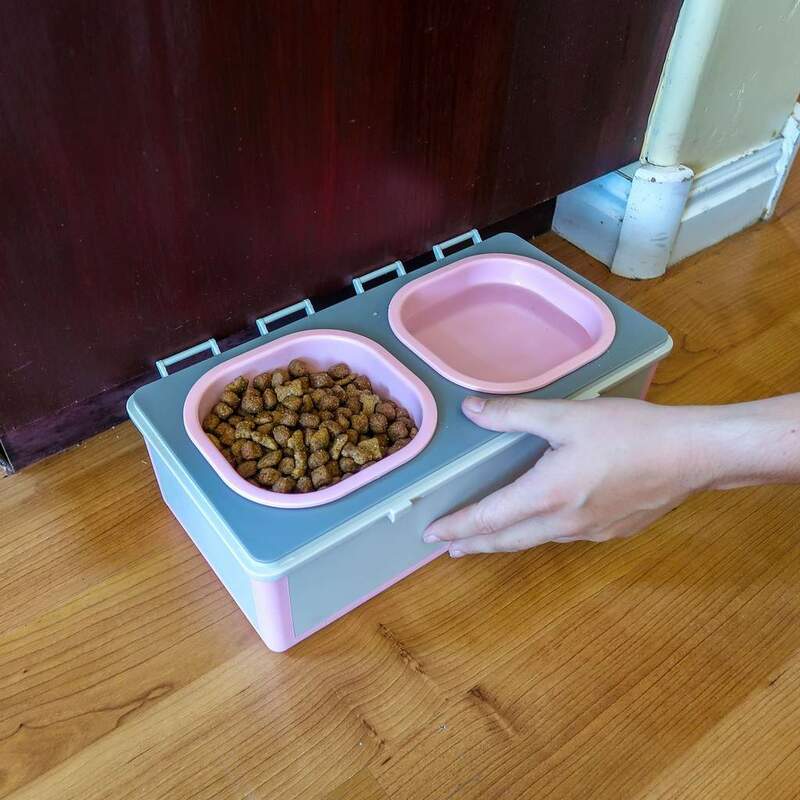 I use the cat food and water feeder part as my regular cat dish because it’s so cute.